The Darien Nature Center will be getting a major upgrade to its Animal Exhibit Room, thanks to a $50,000 grant from the Darien Foundation. The Nature Center says it will create a New England Forest and Pond Ecosystem exhibit that will showcase native turtle species in their habitat along with other pond wildlife. “We are so grateful for the Darien Foundation’s endorsement of our plans to bring the fascinating world of a typical New England pond to life,” said Nature Center Executive Director Leila Wetmore. 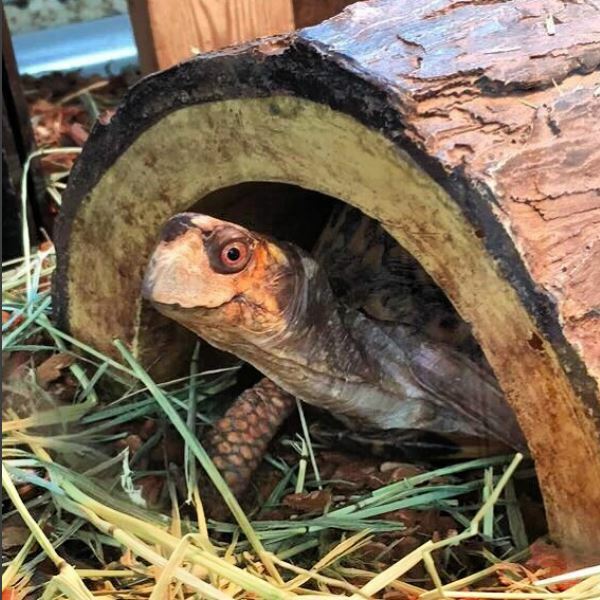 Even Shelly the box turtle is smiling. Plans for the 50-square foot ecosystem project include multiple viewing angles, including a window into the underwater area of the pond where visitors will have the opportunity to see from a turtle or fish’s perspective. There will be an illuminated cascading waterfall for ambiance and natural aeration of the pond. The exhibit will also have informational signage and interactive features. “There are endless educational opportunities with this new exhibit. Our educators will use it to demonstrate the water cycle, food chains, camouflage, and everyday animal life activity,” said Nature Center Animal Curator Molly Robertson. “The Darien Nature Center is a place of wonder and learning for the children of our community,” said Sarah Woodberry, executive director of the Darien Foundation. 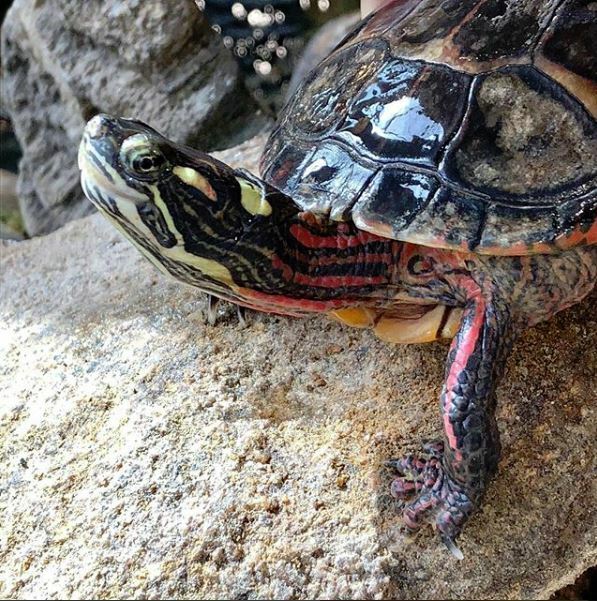 Speedy the eastern painted turtle is also smiling. It’s hard to tell with eastern painted turtles, but that is, in fact, what members of the species look like when they’re smiling. Trust us on that. And note the racing stripes. Celebrating their 20th year, The Darien Foundation has funded over $4.2 million in grants for technology and capital initiatives to create opportunity for Darien’s youth, support our town’s safety and security services, and enhance the overall quality of life in Darien through collaboration with community organizations. In 2018, they have awarded a total of $228,500 in grants to six local organizations, and continue to make a significant and lasting positive impact on Darien. Nature Center officials say the pond ecosystem project will launch the renovation of the rest of the Animal Exhibit Room to eventually upgrade enclosures for its resident screech owls, snakes, lizards, rabbits, and other species. “The generosity and vision of the Darien Foundation to help create this fun and unique exhibit is a game changer for us and our visitors, and will ignite our ability to fundraise for future exhibit renovations,” Wetmore said. Darien TV79 has a new, improved look thanks to a generous donation from the Darien Foundation. — an announcement from Darien TV79 The Darien Foundation’s $25,000 grant was used this summer to install new high-definition TV cameras and switching equipment for TV79’s airing of meetings in Room 206 of Town Hall. Join Darien Nature Center at its annual fundraising event, “Fireside,” on Saturday, Oct. 20, from 7 to 11 p.m. under the stars.